A Simple Jew: "It Is Difficult To Fathom..."
This statement needs to be understood in the context (as a reply to an inquiry, not a public statement to other people). Which doesn’t detract from the message, of course. There are a lot of elements in the different schools of Chassidus that come from sources other than of the holy ARI -- including in Chabad. It is known that Reb Nachman wore his peyos long and untrimmed, as did other Rebbes who were contemporaries of the Baal HaTanya. The minhag of reciting the first five Tehillim of Kabbolas Shabbos does not come from the ARI but from other mekuballim in Tzefas. "Lekha Dodi" comes from Rav Shlomo Alkabetz. Reciting "Hodu" and "Yedid Nefesh" before Minchah Erev Shabbos is a minhag of the Baal Shem Tov, etc. It is known that the ARI and his talmidim dressed in white l'kavod Shabbos, while only a few Rebbes do so today. And the ARI spoke again wearing black on Shabbos specifically. Of course that he trimmed them doesn't mean that he had them short, the way it is seen in Chabad. One can have them far past the ears while still trimming them. It seems that the Chabad custom is more of a regional custom than anything else. If anything, the statement about the Arizal simply supports that one may trim the payos, as opposed to beard, where many, including Chabad, hold that one may not. One can easily see how Chabad chassidim of the past, when encountering other chassidim, defended their regional custom by pointing out the Arizal's practice. And as mentioned here and other places, there are many customs of the Arizal that Chabad (and many others for that matter) do not follow. It seems that the Chabad custom is more of a regional custom than anything else. Very few things in Chabad are so chitzoiniusdik as “merely a regional custom”. :) See this. ‘Only by having the kesser energy filtered through the hair on the skull, and then re-filtered a second time via the earlocks, can the deepest energy of the soul become articulated in the lower chambers of consciousness (17). (17) This may also be the reason why the great kabbalist, Rabbi Isaac Luryah (d. in 1572), did not allow his earlocks to grow below his ears and have them hang over the sides of his beard, as is the custom of Yemenite, Moroccan and most Chassidic Jews. Rather he would trim his payos (earlocks) with scissors to ensure that they merged with the beard. 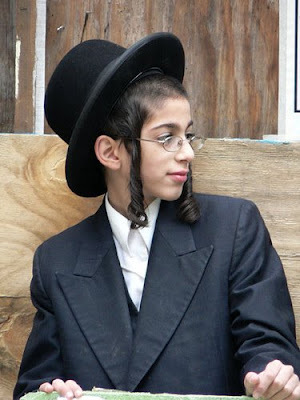 This "style" was embraced by the Chabad school and many other Ashkenazic and Sefardic communities. 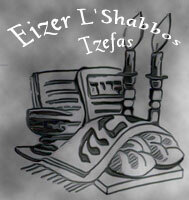 (See Shaar Hamitzvos and Taamei Hamitzvos Parshas Kedoshim. Beis Lechem Yehudah gloss to Yoreh Deah 181:1. Igros Kodesh by the Lubavitcher Rebbe vol. 20 p. 10. Lately there seems to be a theme of threads that are "instigating" against Chabad. Am I misinterpreting? Will all due respect to you and to Rabbi Jacobson, who wrote what you are quoting from, if Chabad believes in "the atomic energy of the soul" then something is quite amiss. I would also point out that many people with long peyos actually roll them or pin them up in various ways, such that only the beard is seen. As such there wouldn't be any "overwhelming the beard", as the beard would be more prominent than the peyos. Of course there is little point in discussing the matter any further, is there? What’s wrong with atomic energy of the soul? :) I think it was just a poetic expression or a metaphor. I.e., pnimiyusdik energy, be’hester. Like atomic energy relative to more available energy. It’s not a matter of believing — Rabbi Jacobson provides sources. Overwhelming may mean in style, i.e., in length, not necc. in practice. I don’t know, depends on the purpose of discussion, but I suppose you’re right. It would, however, be interesting for me what non-Chabad sources say on the matter, with the same level of detail. 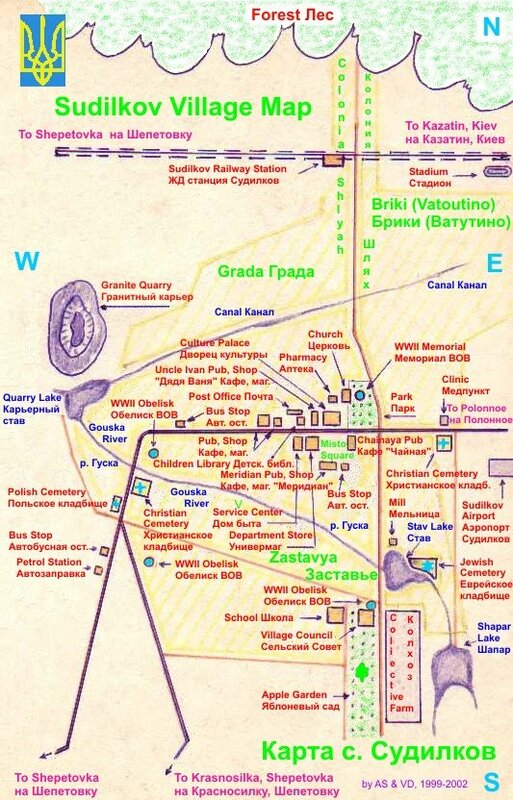 I.e., what is the ruchniyusdik source for the peyos, long peyos, etc. As has been noted, I do not think any derech of Chassidus really is, or claims to be, the exact derech of the Arizal. It has been noted that the Sar Shalom of Belz zy'a had short [but beautiful] payos and his talmid the Divrei Yechezkel instructed that they be trimmed so that did not extend beyond the beard. At that point they are no longer the "corners of the head" but a "tail". He nevertheless instructed that they not be cut but rather singed. It was their understanding that the intent of R. Chaim Vital zt"l by to the beard "mamash" was the lower part of the beard, not the upper. The Klausenberger zy"a was asked about this and said we are not makpid nowadays [at least in part] because payos are generally curled. As for your comment, I don't think that I am "instigating" against Chabad. I have had many pro-Chabad postings as well and I personally learn Tanya every day. On the other hand, since Chabad makes some very definite claims, I offer them up for discussion among my readers who come from many different backgrounds so they may be viewed from a variety of perspectives. all the Rebbes used to wear white on Shabbos but stopped at some point. the Kotsker used to wear white as well. I agree with Shoshana. Practically speaking, ASJ, you are virtually inviting people who lack respect for the derech of Chabad to denigrate the Rebbe's words. And they didn't disappoint. Anonymous: I think there is a difference between disagreeing and denigrating. I think you are right and that this point should be emphasized. Indeed, one can say that respectful disagreement is the cornerstone of Jewish learning, the Talmudic give-and-take that sheds light on a problem and comes to a solution. I think the issue is that for some people, a given rav, rebbe, rosh yeshivah or the like, is beyond questioning, not just for them but for anyone. When you question something this rav, rebbe, rosh yeshivah or the like wrote, it is taken as questioning this rav's, rebbe's, rosh yeshivah's status, abilities, or even what they stand for. This is sad, because questioning something isn't the same as rejecting it. In fact, questioning a certain derech isn't a lack of respect; ignoring it would be. 1) It’s not “Chabad” who “makes some very definite claim” (i.e., Chabad HQ), but the Rebbe or people who directly quote or analyze the Rebbe — but in most cases of such “claims”, it’s the Rebbe himself who is quoted. (Any “claims” coming from any other sources are worthless.) I think adding this little detail may change the perspective a bit. — Chabad says it’s better not to sleep in the sukkah. — Where does Chabad say this? In other words, there seems to be some sort of emotional, reflexive reaction. It would, on the other hand, be really interesting to see an in-depth discussion. Chabad sources (i.e., the Rebbeim or people quoting and analyzing them) always provide such a discussion, with different sources and points of view analyzed. Of course, one could say that they do so from Chabad perspective. Whether I agree with this statement (and find it meaningful), my answer is: fine, let’s hear in the same depth from other perspectives. Your quote from Rabbi Jacobson adds that the Arizal didn't let his peyos get cut past his ears. Do you know the makor for this detail, which seems to be the source of the disagreement about the Arizal's minhag? ASJ provides a fantastic blog, that like it or not encompases all chasidic thought. differences are good and necessary to create alternate paths to the same end goal, but this doesnt seem to stick well with many. as i travel through the cyber world (and the real world) the same theme of Chabadnicks feeling the need to attack and in turn being attacked tends to be pervasive. the essential root seems to be a thought that chabad (i like to think this is from the masses not the core) provides a superior derech to all others. all others are seen as inferior, and therefore not relevant. the resultant backlash is inevitable and as virulent. it would be nice to see ASJ spared from this pointless bickering. appreciate the quality, and the objectives of the discussions. try to "listen" instead of feeling the need "shout" out your own standpoint. there are some excellent contributors that one can learn a lot from. if you secure in yourself you wont feel the need to denegrate or try to shout down others. One person (politely) brought up the question here. I obviously don't know what sites or people you've been in communication with but that "insecurity" or whatever is certainly far from the reality. The derech of chasidus chabad is strong and pure enough without any "help" from the vigilantes of the world. And just in case: I'm not referring to you CA. I got impatient waiting for CA's response so I did a little research on my own. In this shiur (http://www.chabad.org/multimedia/media_cdo/aid/606298/jewish/The-Meaning-of-Upsherenish.htm) Rabbi Leib Schapiro, Rosh Yeshiva of YG of Miami at about 42 minutes or so, he brings that Reb Chaim Vital wrote that the Ari cut his peyos davka so they shouldn't mix with the beard at all. Wow, sorry for not answering in time (but your source is probably better than mine anyway :). Menashe - the derech of Chabad is most definately pure, holy and sweet. there is no denying that. but so are the others, Hashem has blessed us with many keys to open our souls. that is the essential point. 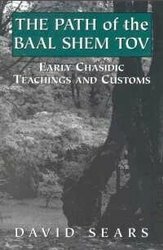 No one's denying "Eilu vEilu.." But our Rebbeim also explained how Chasidus Chabad was always the intention and tachlis hakavana from maisa breishis until the Torah Chadasha of yemos hamoshiach. Nevertheless, everything in frumkeit has its place and is holy of its own right. Erh, Menashe, honestly thats the kind of statement that i meant in my previous post, and dont be suprised if people lash back it. i for one find Chabad (esp the Tanya) to be a beautiful work, especialy when learned with the correct person, but so are many other sephorim. that being said, for me, Likutei Mohoran, and Halochos blow me away and take me to a whole other level that Chabad just doesnt do. so where does a statement like you just made leave someone like me? ASJ, perhaps you did not read the comments made. Your commenters do not just point out other sources of other tzaddikim respectfully and discuss everything scholarly. They DENIGRATE. They DISMISS. They use customs like this as an "opportunity" to start an anti-Chabad tirade. And you knowingly set the stage for that to happen, and conspicuously fail to call them on their usage of such derogatory language. Could you give us an example of the statements you are talking about? I don't really see them, though it may be because I might have a different sense of "DENIGRATE" and "DISMISS" than you do. Where in any of my comments do you find any hint of derogation (is that even a word?) or attack? Being proud of your derech does not necessitate also putting others down. I don't believe I have said anything negative about non-chabad chasidim or even not-yet-chasidim. If it's those kind of comments that you are referring to than I retract my original disapproval completely; such words are divrei emes as they are directly from our holy Rebbeim. May they only increase! tea mad hatter, two different things. What the Rebbe is talking about is special role of Chabad Chassidus in transforming the world. You’re talking about transforming yourself. I.e., you talk about what Chassidus does for you. The Rebbe talks about what Chassidus does for the role, for which Hashem created the world. You, your own avoida, your own “heights”, derech, enjoyment of Yiddishkeit and closeness to Hashem are not even in the picture. The picture is: Hashem created the world with the particular goal, and what is being done in the world for achieving this goal. Hi Menashe- nothing wrong with being proud of your derech, and seeing the importance of it. a statement that the ikar of creation is chabad however, is not only hard to swallow, but also makes every other pathway a lesser one. which i believe they are not! negativity is implicit in the statement. Anon - seriously dude, chill out. you are misconstruing things. tea mad hatter, I don’t hear any counter-argument. You tell me other paths are important. I agree. “Less important, more important, hurts my feelings” sounds like silly kindergarten games. This is serious stuff — the purpose for which we exist — not some personal contests. It is an obligation of every Jew to put emotions and subjective feelings aside and figure out the essence of the truth. Regardless, may I note, how this essence of the truth appeals to him. You have not shown any argument why the other derech would be the ikkar of Yiddishkeit. But you are right that the burden of proof rests on Chabad for providing basis for its statement. The Rebbe has done so, in the famous ma’amor. “The only way” — who said this? “thats the kind of statement that i meant in my previous post, and dont be suprised if people lash back it” — that’s the kind of statement made by Lubavitcher Rebbe. Not by Menashe, by me, by Chabad HQ. Which of the generals has a clear, written-out, accessible plan of how to get to the capital of the enemy and end the war? I don’t care, whether in a more or less beautiful tactically or strategically way. I don’t care if it appeals to me personally, to my spheros, koichos ha’nefesh, whatever. I don’t care if I’ll get promoted in this general’s army or remain a lowly foot-soldier. I don’t care about me. I want the war over.